After 10 years and 19 movies, Thanos is finally ready to make his move. However, in Avengers: Infinity War, Earth’s mightiest heroes are far from ready to fight back, as they’re still divided after the events of Captain America: Civil War. Even with the help of the Guardians of the Galaxy, Thanos is a threat unlike any other in the entire Marvel Cinematic Universe, and a large part of this film serves to tell his story. 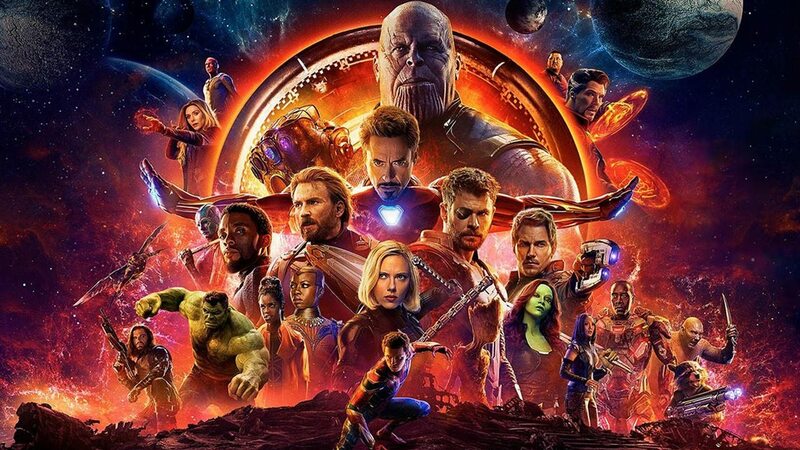 With the anticipation of Infinity War making the film out to be the epic battle that ties all of the Marvel Cinematic Universe together, the movie itself doesn’t disappoint, and it’s a must-see for every Marvel fan. The scale of Avengers: Infinity War is more ambitious than any other Marvel movie before, successfully spanning from Earth into the farthest reaches of space, visiting locations including Black Panther’s nation of Wakanda and Thanos’ home world of Titan. While the scale of the movie justifies the war that’s advertised in the title, it also creates a small personal problem that I had with the movie, as the insane amount of characters leaves some of them underused. This isn’t too much of a problem, as with a film of this size limiting the screen time of some characters was a necessary sacrifice. However, when the movie ended, there were specific characters that surprised me in how little of a role they actually had in the story, but that’s just a small problem I have with an overall amazing movie. One aspect of the movie that I found awesome were the battles, especially any of the fights against Thanos. The Infinity Gauntlet is a really cool weapon that is used in some very creative ways, some of which you’d expect to see in a comic, and be pleasantly surprised when they’re used in a movie. The Infinity Gauntlet can basically do anything, and the movie makes sure you know that, and it makes fighting Thanos that much harder for the heroes. Overall, Avengers: Infinity War is a worthy addition to the Marvel Cinematic Universe, and is one of its better movies, even though it isn’t my favorite. It’s the movie that’s been in the making ever since we first saw Thanos after the credits of The Avengers. Now we only have to wait another year to see how the story ends in the fourth Avengers installment.